The Executive Management and staff of the Securities and Exchange Commission (SEC) note with grief the sad demise of Chief Dennis Onyemaechi Odife who passed on in Abuja on Friday 2nd October, 2015 aged 68. One of the most iconic figures in the history of Nigeria’s capital market, Chief Odife can rightly be credited as the architect of modern securities regulation in Nigeria. As Chairman of the Presidential Panel on Capital Market Reform, he contributed immensely to the robustness of the Investments and Securities Act (ISA), the enabling law for the capital market. He has similarly performed other critical National assignments including leading the important Steering Committee for the establishment of Nigeria’s first Commodities Exchange in Abuja. As a mark of recognition of his unique market knowledge and experience, the government relied consistently on his services in helping to develop and deepen Nigeria’s financial system. As co-founder of Centre-Point Investments Limited, Chief Odife led some of the landmark mergers and acquisition in Nigeria, including famously structuring the first public issuance during the privatization programme of the late 1980s. He was among the proponents for greater access to capital markets for small and medium enterprises (SMEs), helping to develop a second-tier securities market on the Nigerian Stock Exchange. He was a very notable campaigner for more listing of indigenous companies on the stock exchange while being a strong voice on capital market education. Born in Nkwelle-Ezunaka, Oyi Local Government of Anambra State, Chief Odife studied Economics at the University of Lagos and obtained an MBA from Columbia University, New York. He was a Fellow of the Nigerian Economic Society, British Institute of Management, Institute of Management Consultants of Nigeria, Nigerian Institute of Management, Chartered Institute of Stockbrokers of Nigeria and member of the NSE. He was also a recipient of the national honour of Member of the Federal Republic, MFR. 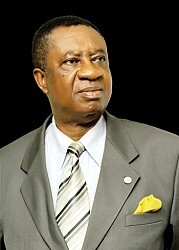 He has left behind a legacy of a solid foundation for capital market development in Nigeria.